Please join the Clean Ocean Action, Borough of Stone Harbor, Stone Harbor Property Association and The Wetlands Institute by volunteering for the Fall Beach Sweep (or clean up!) to help preserve Stone Harbor Beaches and Dunes!! All Volunteers should meet at the Beach Patrol headquarters, 95th Street and the Beach and are encouraged to bring gloves and dress appropriately for the weather. Trash bags and trash pickers will be provided. The Beach Sweeps events are more than people picking-up trash from beaches. This program builds community support for solutions, as well as raises awareness about the negative impacts of litter on wildlife and the ocean. Since 1985, over 115,800 volunteers have participated and removed over 5.9 million pieces of debris from New Jersey’s beaches and waterways. 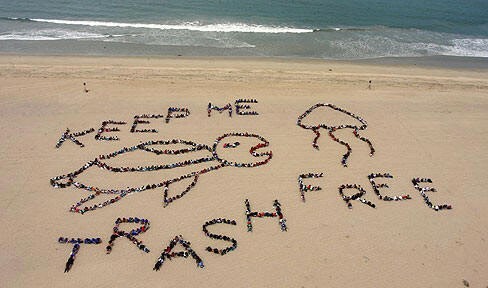 SAVE THE OCEAN! SAVE THE DATE!